Homeless youth face a tremendous number of challenges and are at a much higher risk for abuse, poverty, addictions, mental health struggles than youth who are not experiencing homelessness. 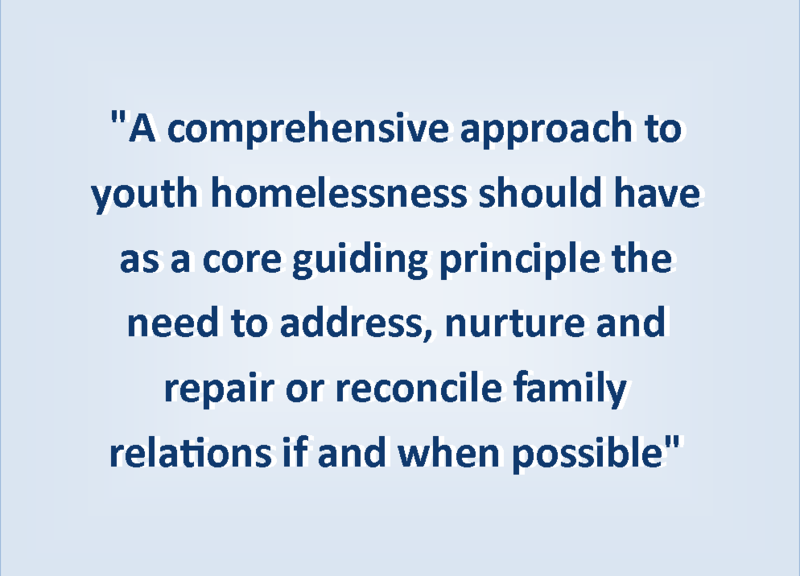 All the most recent evidence-based best-practice guidelines for addressing and preventing youth homelessness stress the critically important need for family reconnection programs to be at the heart of any effective strategy. We are confident that using Restorative Parenting models for family reconnect is the surest way to build success and positive supports for homeless youth in our community. Our team of highly trained staff and facilitators work with each youth and family one on one to repair past harms and work together to find solutions for strengthening relationships. This program is also an excellent way to connect those in need with family resources and services to help them with their struggles. Please feel free to checkout our Family ReConnect Program in this presentation or contact our Program Coordinator, Sheri Halladay. How are Rural Communities Handling Youth Homelessness?